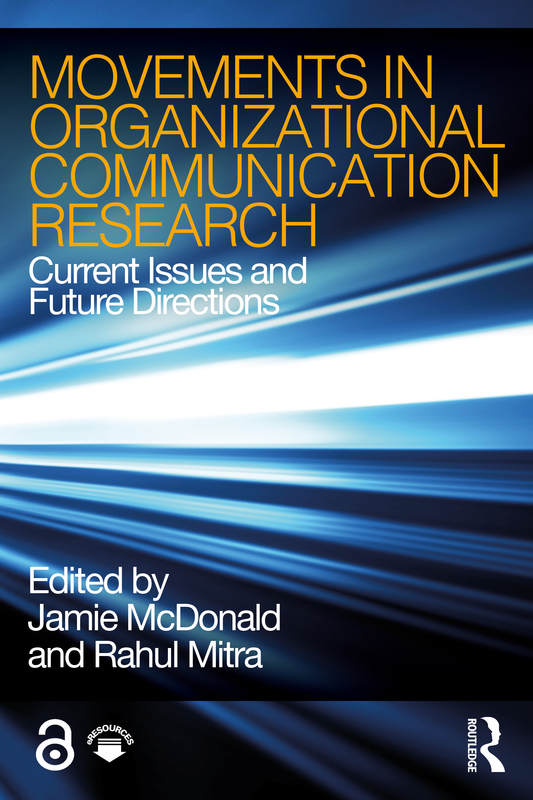 Movements in Organizational Communication Research is an essential resource for anyone wishing to become familiar with the current state of organizational communication research and key trends in the field. Seasoned organizational communication scholars will find that the book provides unique insights by way of the intergenerational dialogue that is found in the book, as well as the contributors’ stories about their scholarly trajectories. Those who are new to the field will find that the book enables them to familiarize themselves with the field and become a part of the organizational communication scholarly community in an inviting and accessible way. A review of current issues and future directions in 13 topical areas of organizational communication research. Intergenerational dialogue and collaboration between both established and emerging scholars in their specialty areas. Reflections by the authors on their scholarly trajectories and how they became a part of the field. Discussion questions at the end of each chapter that prompt reflections and debate. The book is recommended as the anchor text for introductory graduate-level courses and upper-level undergraduate courses in organizational communication. It is also an excellent supplementary text for advanced doctoral-level courses in organizational communication, and courses in related fields such as organization studies, organizational behavior, and management.